It may be hard to believe — I know it is for me — but this year marks 15 years since I graduated from Brandeis University. In less than two weeks, members of my class will gather on campus for our 15-year reunion. Of course, if you’re a longtime reader of this blog, then you won’t be surprised to learn that I have no intention of attending any of the events. Not after the great time I had at our 10-year reunion (munch munch munch). 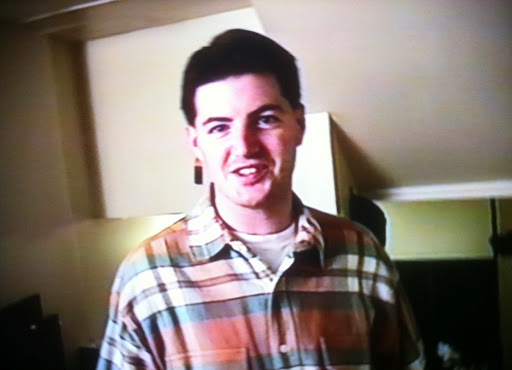 Still, I’m a sucker for nostalgia, so over the Memorial Day weekend, I got out my home videos from senior year and watched them, start to finish. 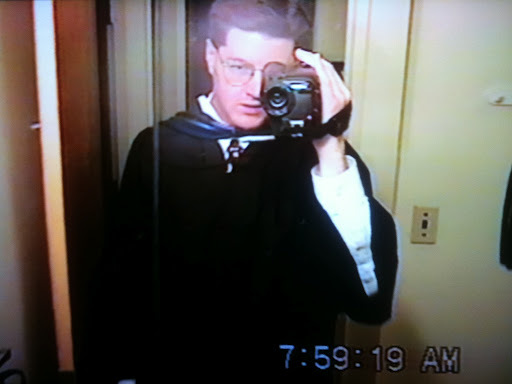 That’s right: I have video footage (shot on a hi-8 camera that I got for my 21st birthday) of those so-called “good ole days.” It includes orientation, graduation, some BBQs and parties, random wandering around campus, lots of silliness in my mod, midnight buffets, and much more. I watched as my modmates cleaned out the refrigerator in our messy kitchen, as my classmates celebrated Labor Day, as folks reflected on how the year was going, as friends came over for a Friends season-two premiere party, as my fellow editors on The Justice worked hard, as my roommates went on a run to the grocery store, as people grew increasingly frustrated that I always had my camera out, etc. etc. At some points while I was watching, I found myself wondering if I actually experienced senior year for myself … or if, like Mark Cohen in Rent, I just spent the year documenting the whole thing. 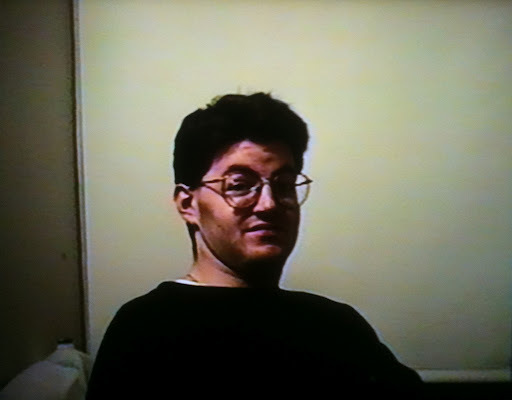 Sometimes I watched and felt embarrassed for the people on screen; other times I was embarrassed for myself (and not just because of my oversized round tortoise-shell glasses). There were lots of people I hadn’t seen or thought about since the last time I watched the videos (at least 10 years ago), some of whom I was happy to see again and others I had forgotten about completely. It was both amusing and disappointing that the people I am tight with now are barely in the videos, and the people who are all over the videos are barely in my life now (with a couple exceptions). And yet, it was also pretty cool to be able to dig into that time capsule. My senior year was a lot of fun (or at least, the camera wasn’t rolling when things weren’t fun), and I had some good times with some good people — even some people I don’t think of too fondly today. One day I’d like to edit together this footage into something more watchable. There’s certainly some interesting material to work with. But in their current form, the tapes serve as a nice memento from days gone by. Like my high school journals, these videos remind me of who I was and show me how much I’ve changed. Watching the videos didn’t make me want to go to Reunion any more than I already did, but they provided me with a reunion-type experience. This year, that’s enough for me.